Yes – you can set up a car park in CABS by simply creating a new location and setting up designated spaces, and that’s good enough for some CABS clients. However, if your car parking management is more sophisticated than that, you’ll be pleased to discover the CABS Car Park Manager Module with number plate recognition capabilities, the ability to link spaces to visitors to events or to staff within a building. 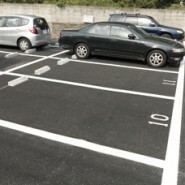 Using layouts and space specific attributes - such as head-room, under cover or outdoors, and space width and depth - your parking space allocation team can enjoy the speed and efficiency of a professional application coupled with the power and flexibility needed to deal with the many and various ‘one-off requests’ that come up time and time again. Of course, the CABS Car Park Manager Module integrates fully with the rest of CABS. This means that visitor spaces can be automatically requested when meeting and event bookings are being set up (and automatically cancelled when the meeting or event gets cancelled!) and you can configure the system to automatically reserve and/or confirm spaces, saving hours of manual effort.